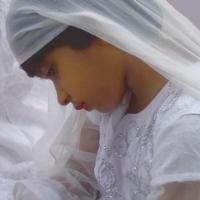 Sharia isn't the only kind of religious law that permits child brides. Until 1929 Church of England ministers could marry 12-year-olds in Britain. And until 1983 a quiet loophole in Catholic canon law permitted priests to marry off brides of 12, as well. Now the minimum age allowed by the Vatican for young girls to marry is 14. "Sunday Times front page story on ‘Islamic child brides’ ", Engage, 2012-09-12. 8. This loophole in Canon Law was used to permit 12-year-old child brides in Quebec before the "Quiet Revolution" of the 1960s began the secularisation of the province..
"Civil Marriage", Catholic Encyclopedia, 1914 http://www.newadvent.org/cathen/09691b.htm "The minimum age for marriage in the Province of Quebec is fourteen for males and twelve for females."